A 450 sq foot oasis in the city? Could that be possible? 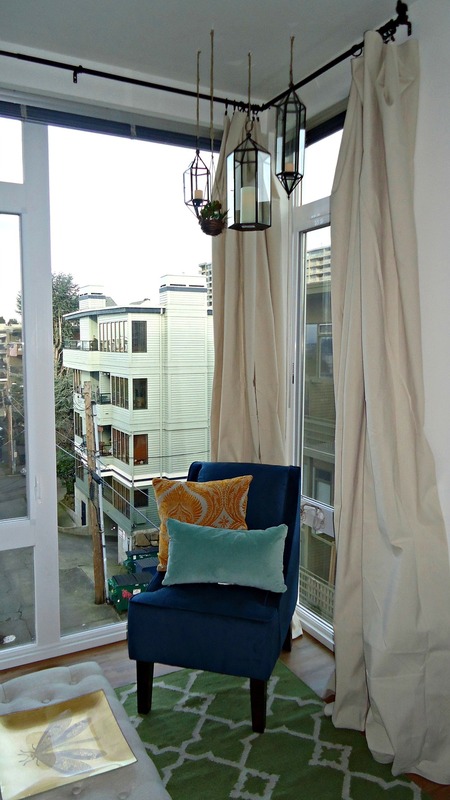 My client was unsure that there was even an ounce of potential in her teeny tiny studio apartment in downtown Seattle. She was renting and unable to paint, switch out light fixtures, etc so she was skeptical to say the least. Describing her style as "Anthropologie Eclectic", I was on a mission to make her feel comfortable in an apartment that she initially said she HATED. We started with a bed frame only, no bedding, and half of a sectional couch. I had my work cut out for me. This was a really fun install day for me because she wasn't home as I was working. When she did arrive home to the finished result, she was absolutely blown away. 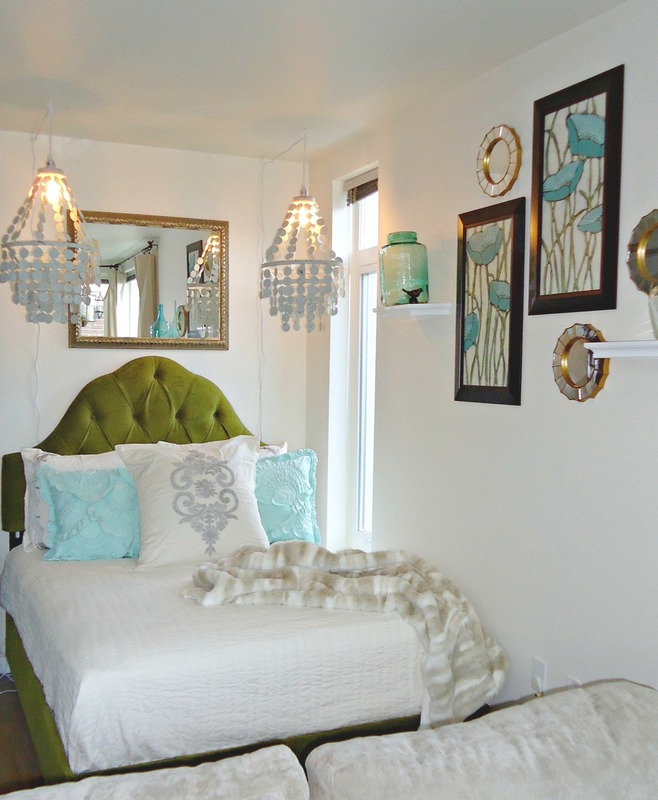 I had the chandeliers hung as sconces to glamorize the "bedroom" space along with luxe layers of bedding, and LED candles flickering in hanging lanterns above the small living area combined with curtains (made from painting drop cloths btw!) to add warmth to that space. She cried when she opened the door...saying that she never thought such coziness could be achieved in this once stark unit. This was one of my very first design projects but definitely one to remember, just because of the client reaction alone.